It’s important to have a person with some oomph in charge of the department. You want a car with a bit of oomph. 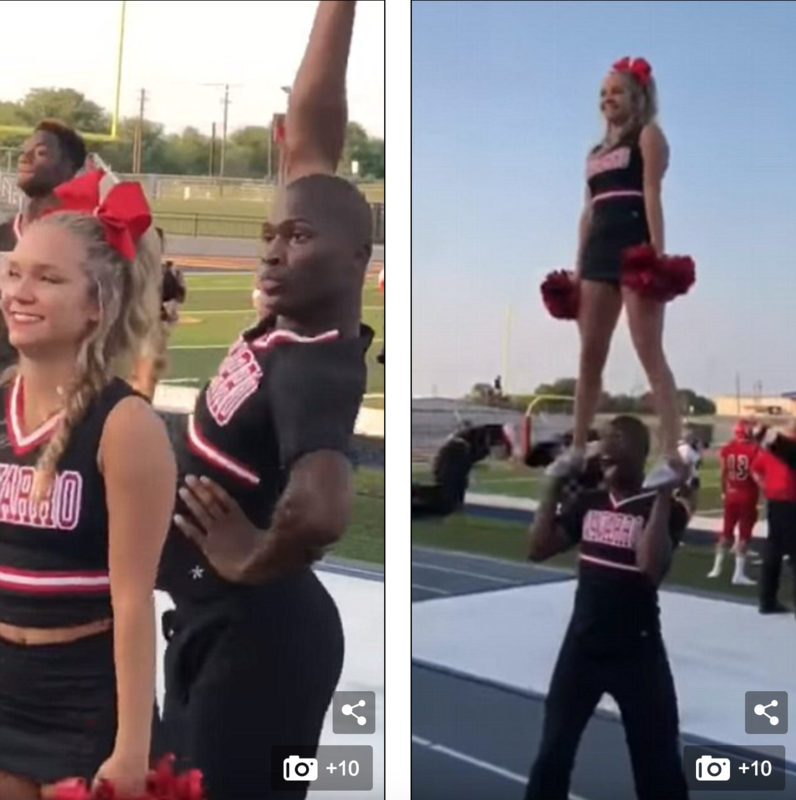 A Texas cheerleader has become an internet sensation thanks to some sassy moves that helped him stand out from the crowd. 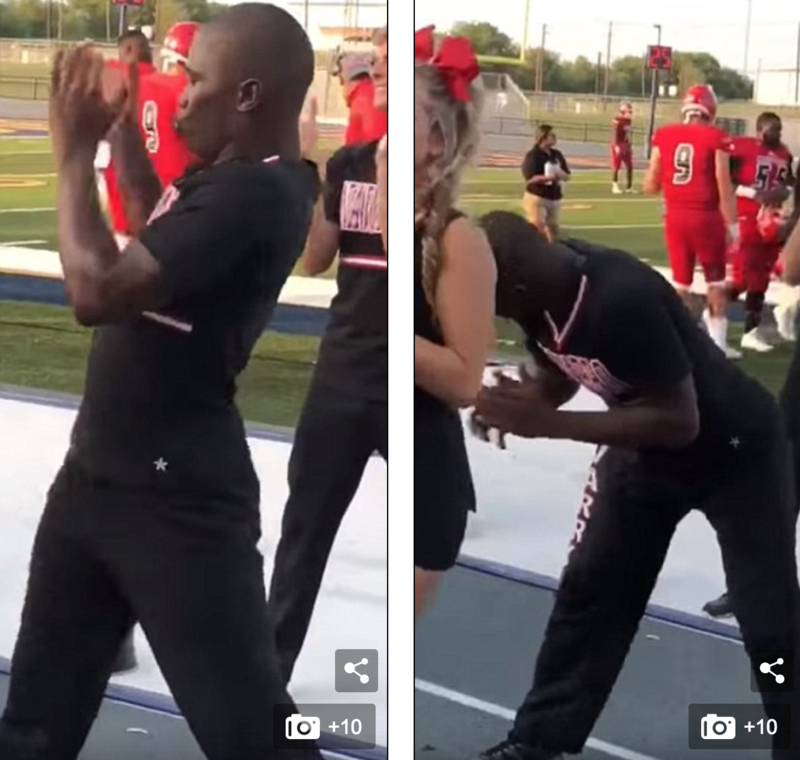 LaDarius Marshall was cheering on the sidelines during a football game at Navarro College when his coach decided to film a video showing off his talents. The clip shows LaDarius transforming a simple move – which only required him to stand and clap – into his own personal dance show. We’re required to check your identification before letting you in. Health and safety regulations require all staff to wear protective clothing. 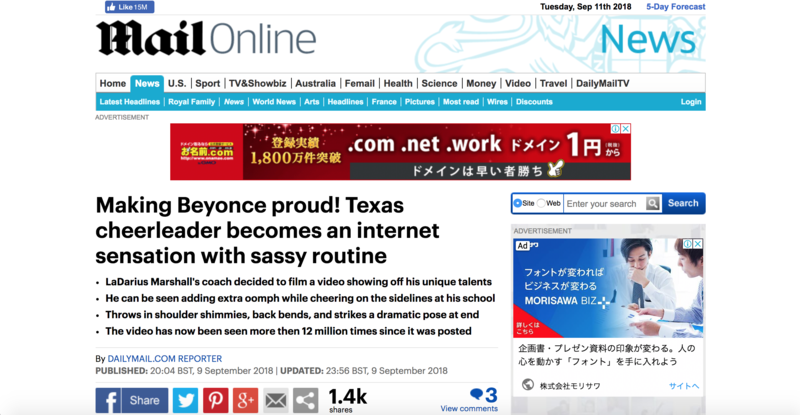 During the chant LaDarius dips and waves his head back and forth in a way that would make Beyonce proud. He throws in a few surprising back bends and makes sure his face is constantly changing expressions. A couple of shoulder shimmies also add to the unique – and hilarious – routine. And, right before his last stunt, LaDarius manages to strike a dramatic pose with perfect timing. Joe dipped his head towards her for a quick kiss. As you turn the corner, the road dips suddenly. House prices dipped in the first three months of the year. She shimmied across the dance floor. The video of LaDarius has since gone viral, racking up more than 12 million views on Facebook. ‘I honestly feel so loved,’ LaDarius told the Panama City News Herald. LaDarius, who is from Fort Walton Beach in Florida, began cheering his freshman year in high school after receiving inspiration from his older sister and aunt. 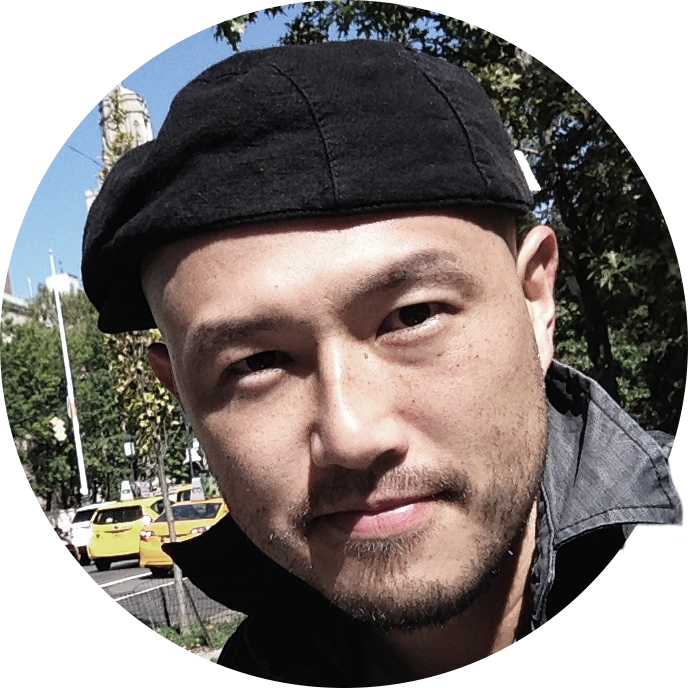 ‘I got interested when my older sister tried to teach me how to tumble,’ he said. It was his aunt who encouraged LaDarius to try out for the team in high school, which he juggled along with football and track. Many parents find it hard to juggle children and a career. Flexible working hours help staff juggle work and family life. Before graduating, LaDarius earned a cheer scholarship to Navarro, a junior college in Texas. Now LaDarius coaches aspiring cheerleaders and cheers competitively, which he said is his favorite part about the sport. ‘You meet so many people who inspired you to cheer,’ he said.